I love making crafts with my daughter when the holidays roll around. I spend time pinning all sorts of things we can make for Halloween, Thanksgiving and Christmas. 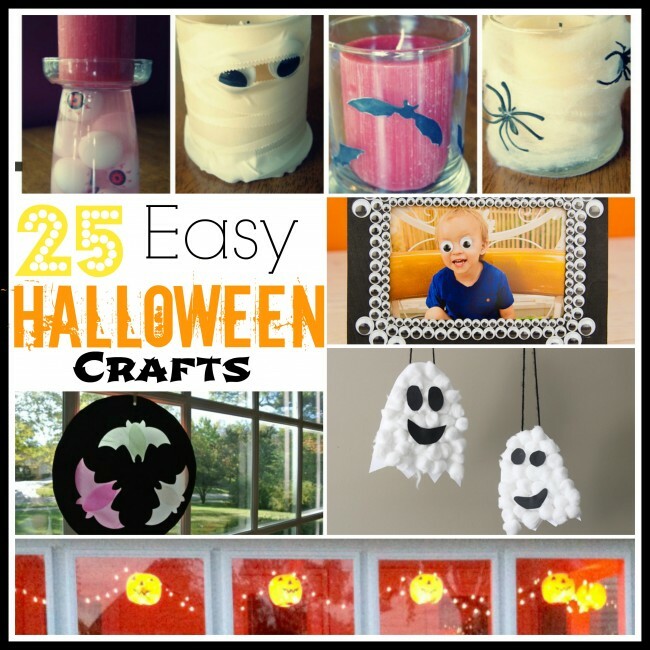 If you’re like me and want some quick and easy crafts you can make between now and Halloween, you’re in luck – check out our list of 25 Easy Halloween Crafts! I am into pretty much any kind of handprint craft, so I’m loving the Handprint Witch, Q-Tip Handprint Skeleton and Handprint Spider crafts! Those are not only great and inexpensive ways to add some fun holiday decor to your house, but they’re also a great way to document times in your child’s life to look back on later. And, since we host a “Little Ghost Party” for my daughter each year, we are definitely making the puffy ghosts for this year’s event! What Halloween crafts have you made? Let us know in the comments! Thanks so much for sharing my craft! Off to check out the others. Sharing!